Andrew Judd, speaker at ADM’s 2019 School of Theology and Public Engagement, on the ways that “Uncle Tom’s Cabin” gives voice to the different ways that 19th century Christians interpreted slavery. Mary Andrews College lecturer Kara Martin on navigating the workplace as a Christian. What difference does one lost coin really make? Dr Kate Harrison Brennan launches our Lent series exploring the Parables of the Lost Sheep and the Lost Coin. This video is part of Common Grace's 2019 Lent Series exploring the Parables of Jesus and their subversive nature that call us to seek justice, with mercy and humility. Host Tori Walker chats with Co-Directors of the ADM Mental Health, Sarah and Keith, about how their marriage works, how healthy marriages strengthen the church, and the Building a Safe and Strong Marriage course. 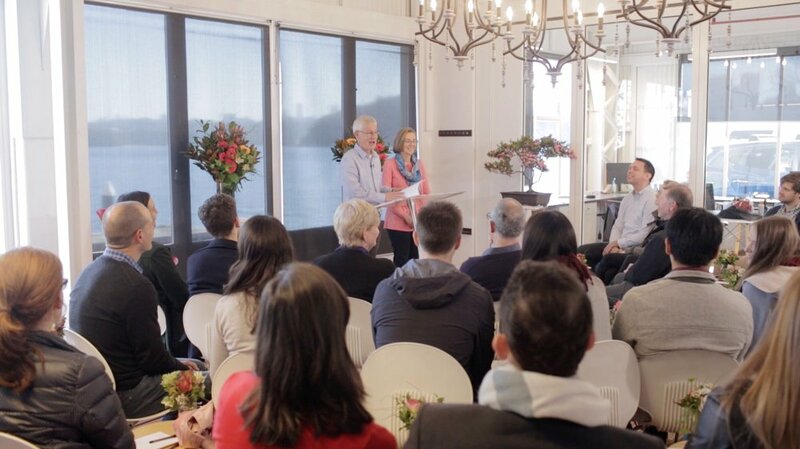 Keith and Sarah Condie, Co-Directors of the ADM Mental Health, share their research on what makes marriages successful in light of the launch of their Building a Safe and Strong Marriage course. Keith and Sarah Condie, Co-Directors of the ADM Mental Health, discuss how they have been able to help ministry couples relationships that have been in crisis and the launch of their new course. ADM 2017 Fellow Meredith Lake, host of Soul Search, interviewed Katelyn Beaty, speaker at ADM’s 2019 School of Theology, Culture & Public Engagement about her thoughts on calling for Christian women, as well as on conservative church culture in contemporary America. 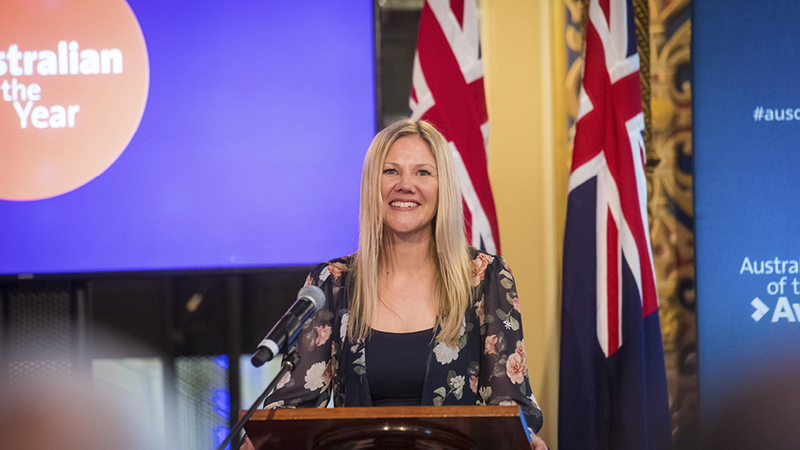 Bernadette Black, ADM Annual Funding Event 2018 funding recipient, shares her journey from pregnant teenager to Tasmanian Australian of the Year. Keith and Sarah Condie, Co-Directors of the ADM Mental Health, on how to build a safe and strong marriage. Dr. Kirsten Birkett, 2018 ADM Fellow, discusses how human happiness factors into God’s vision for human flourishing. Sarah Condie, Co-Director of the ADM Mental Health and Pastoral Care Institute, writes on how to care for a friend with mental health difficulties. Dr. Christopher Mayes, speaker at ADM’s 2019 School of Theology, Culture & Public Engagement, examines the darker side of the history of sheep in Australia. Our Creative Director, Jo Kadlecek, writes about Lectio Divina or "Divine Reading" in her devotion 'Quiet: A new way to pray' for Propel Sophia. Can faith groups convince Australia to act on foreign aid? On Sept. 20, Christian women leaders representing ADM, Hillsong Church, Baptist Church, Citipointe Church, The Grainery and The Salvation Army headed to Parliament House to discuss the foreign aid budget and offshore asylum seeker detention with senior ministers and MPs. Kara Martin spoke to Stephen O’Doherty on Hope 103.2 regarding her new book Workship 2: How to Flourish at Work. A coalition of key female Christian leaders visited the nation’s capital for meetings with Home Affairs Minister Peter Dutton and MPs from both political parties. Women leaders from across denominations of Australia’s churches and Christian organisations came together to advocate for policies of justice and care for the world’s poor. ADM is one of many Anglican organisations committed to addressing and preventing the issue of elder abuse by running a course at Mary Andrews College on ministry to the elderly. Whilst in Sydney upon the invitation of ADM, London-based theologian Mary Evans met with Eternity News and shared how the church misrepresents women in the Old Testament. ADM Summer Fellow Robyn Wrigley-Carr, senior theology lecturer at Sydney’s Alphacrucis College, rediscovered the lost prayer book of modern mystic Evelyn Underhill. ADM has begun its fourth year of The Hub, a mentoring program that coaches and encourages Christian female entrepreneurs to grow and develop projects designed for the benefit of others. ADM's Mental Health and Pastoral Care Institute Co-director, Sarah Condie, is helping new mums to build resilience through a course she is co-leading at Church by the Bridge, where she also works as Women’s Minister. Eminent American scholar Lynn Cohick, who spoke at ADM's School of Theology, Culture & Public Engagement in January, says you can be both pro-Paul and pro-woman. ADM's 2017 Visiting Fellow, Alissa Wilkinson, discusses how pop culture can by enriched by the voices of women. ADM 2017 Senior Research Fellow, Alix Beeston, interviews ADM Visiting Fellow Alissa Wilkinson on the intersection between faith and popular culture. ADM small grants are helping churches care for people arriving as part of the special Syrian and Iraqi Refugee Intake. Mel Fung talks about how The Hub enabled her to develop Jesus Club, a Bible study and fellowship group for people with intellectual disabilities. ADM has unveiled our newly-renovated office space, an all-in-one office and study space designed to enable women to flourish in Kingdom work. ADM will be releasing a total of $50,000 in small grants for churches looking to set up or grow their ministry to refugees. ADM's The Hub program is helping to coach and connect female Christian entrepreneurs. Meet our new CEO, Dr Kate Harrison Brennan, and discover her vision for ADM's purpose and future. Dr Kate Harrison Brennan reflects on creating a work culture that dares to focus on justice and mercy within our office, as well as our mission. Dr Kate Harrison Brennan, reflects on public justice, moral leadership, and the need for caring communities, after a historic visit to Canberra as part of a Micah Australia delegation of female Christian leaders. An interview on Hope 103.2's Breakfast with Laura and Duncan about the role of God's people in the increasingly post-Christian western world. In a society that seems increasingly polarised, can understanding history play a role in shaping our future? Which stories of our shared past could enhance our current civic discourse? Women leaders from across the denominations of Australia’s churches and Christian organisations came together for an historic visit to Canberra advocating for policies of justice. ADM has awarded over $60,000 to Australian Christian women from across the globe in its third Annual Funding Event. Now in its third year, the ADM Annual Funding Event provides an opportunity for entrepreneurial Christian women to bring their ideas and initiatives before a panel and pitch for funding. Through this update, ADM seeks to recognises that we, as Christians, have a responsibility to not only care for our own biological or adopted children, but to care for the most vulnerable children in our society. ADM is proud to continue our heritage of exceptional leadership with the appointment of Clare Steele as the new Chief of Operations. Seven exceptional women have begun a year-long incubator and mentoring program at ADM called ‘The Hub’. Six remarkable Christian women have been awarded 2018 Fellowships at Anglican Deaconess Ministries (ADM) after a highly-competitive selection process. Held over four days, the STCPE is designed to help everyday Christians engage with and influence the spheres of work and culture in which they find themselves. ADM has awarded $60,000 in funding to support projects by Christian women at its second Annual Funding Event on 20 September 2017. Aboriginal Evangelical Fellowship Australia (AEF) and ADM have come together to design a Loss, Grief and Trauma Care Pilot Project for Aboriginal Women. A practical and interactive workshop on refugee and homelessness ministry, run by ADM & Hope For Sydney. ADM has announced the appointment of Rev Jenni Stoddart, School Chaplain at Abbotsleigh, as its new Chair of the Board.